Innovation was and remains crucial if you want to remain competitive and keep pace with your industry. Much has been written about innovation. This book virtually adds some fresh thoughts to to body of knowledge. 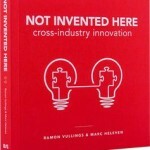 The concept of cross-industry innovation is getting more and more attention. This is for a good reason. 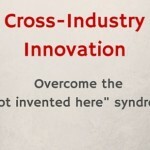 The combination of maturing industries and disruptive change makes the traditional approach to innovation within the boundaries of an industry less effective.